A Garden For the Trees…………. Part III: Medford Leas Arboretum « John Bartram Lives! “I and most of my son Billy’s relations are concerned that he never writes…” John Bartram to his brother, William about John’s son William in a letter dated December 27, 1761. 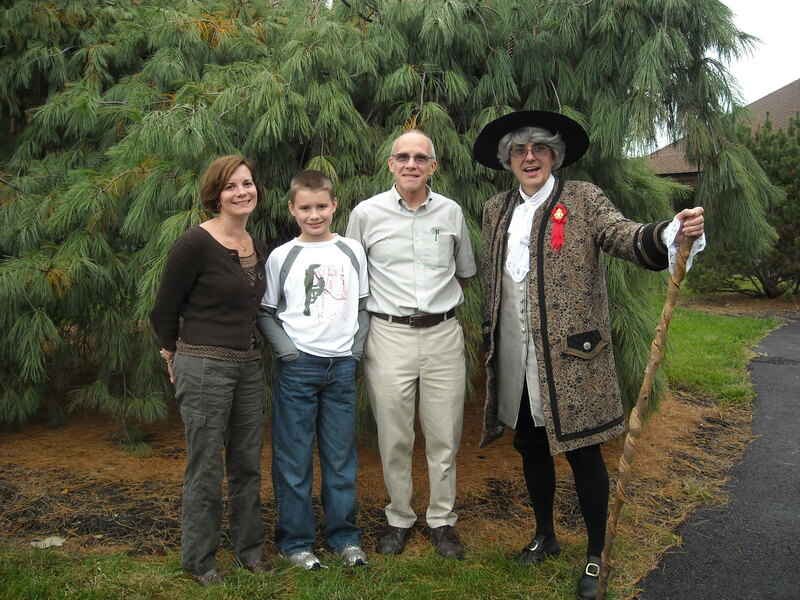 John Bartram is pictured with his great-grandson times seven removed John David Bartram. There are two more generations of John that follow him throughout my patrimony. This is a unique view into four generations with some of my numerous descendants. For a long time, I have forgiven Billy for the many shortcomings with which I took exception to his life during my days with him. We could not reach consensus on a number of his major personal choices. His failure to write to his mother while on his plantationing experiment in Florida came as no surprise to me. But it caused her extreme anguish and mental distress. I am happy to say that subsequent generations of my descendants have not been so unfilial or inconsiderate. I have had the pleasure of speaking to several groups in the midst of which I recognized my direct great-grandson, J. David Bartram. On my last visit to Medford Leas, he even served as the specialist in charge of my acoustic, visual and electrical media needs. He is a spirit of my own making. He defines the future and takes responsibility for it! “Situated on the edge of the Pine Barrens, the Barton Arboretum and Nature Preserve of Medford Leas is a unique blend of accessible public gardens, collections, and preserved natural areas set amidst private residential space. Spanning more than 200 acres with campuses in Medford and Lumberton, NJ, the Arboretum offers visitors a diverse horticultural array of designed gardens, landscaped grounds, meadows, natural woodlands and wetlands, and one of the most extensive plant collections — including natives — in all of southern New Jersey. 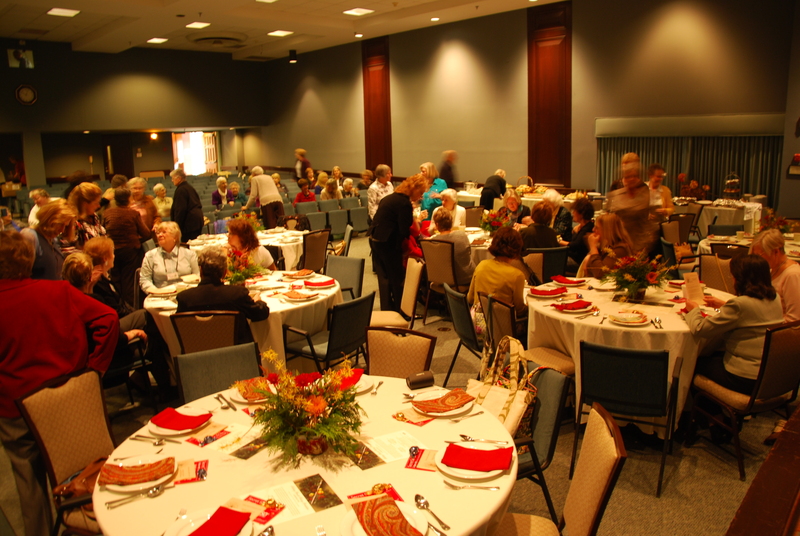 With David caring for the technical needs on my last visit, I spoke to the members of the Pinelands Garden Club with visitors attending their annual luncheon from the Haddonfield and Moorestown Garden Clubs. A large group was gathering as J. David Bartram help John set up his presentation for the day's entertainment. I am constantly amazed at the ease with which I am welcomed into any group. This day was an especially notable opportunity. It is with some hesitation that I take on the weight of performing in front of good friends let alone members of my immediate family. I always question my abilities under such circumstances. I have what I think is called “stage fright!” But for this case, in particular, I thought of life’s great circle. How rare it is when we can see such a span of life and connection and history all in one place. How amazing it is to me that after all of these years, one of my heirs has chosen to reside in an arboretum. He has put aside some amount of personal convenience and elected to live with the trees. So to the old question: Which came first, the chicken or the egg? I have to inquire whether my penchant for Botany is something internal to my being. Is this “natural seed” something that can be passed on through the generations? Did I give David his passion for the Horticultural world? Or, is this need to live in and with nature a reflection of God’s true nature? In either case, if there is such a thing, can this seed be transplanted into the lives of others who care less or not at all about preserving God’s nature? That has become an adjunct search to the main premise of my travels. I am looking for the “seed” that will give others the spark to preserve and protect. Our society must evolve and perhaps if we can find the way to transplant this seed we can all change that much the quicker. We shall grow with time and need. Let us pass the seeds of our own sustainability. That is a hope for the children of my grandson’s grandson times seven. It could be such a wonderful world!